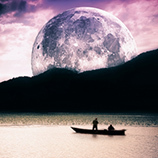 It is with great excitement and anticipation that Astrology Boutique enters the blog world. Our hope is to educate and inform people in Chicago about the psychic world. 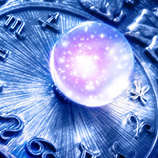 Of course, Carolyn Miller is a psychic in Chicago, ready to assist you with all your astrological needs. That being said, you probably have a lot of questions. So, without delay, here are some of Carolyn’s most frequently asked questions and answers! Q: Can you tell me when I’ll get married, how many children I’m going to have, how long I will live, etc.? A: Yes! And, No! 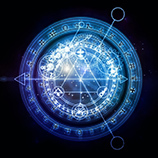 Each psychic reading is as unique as each individual who comes in for a psychic reading. Every person carriers their own energy and spirit with them and interpreting is different for everyone. Just as now two people have the same fingerprint, no two people will have the same psychic reading. Q: How long have you been helping others with your psychic abilities? Q: Who told you that you were a psychic? A: As a young girl, I knew my grandmother had a special psychic gift. I watched her use her gift in a positive way to help others balance their energy and guide them to a better path in life. I eventually realized I had similar skills so she taught me how to use my psychic abilities to help others bring positive balance to their lives. Q: What should I do to prepare for my psychic reading? A: The most important thing is to be open and honest! Be prepared to open your mind to possibilities you may not have believed in before. You must also be prepared to reveal things you may not want to. It’s important to have a deep level of honesty, otherwise your reading may not be as accurate as it could be. Other than that, you just need yourself! If you are doing an astrological chart reading, though, you should bring your birth date, birth location, and time of birth. If you don’t have the time of birth, that’s fine. Q: Are you going to make me drink crazy potions or eat something weird or do some strange ritual? A: No! If you have a tea leaf reading, you will drink a cup of tea, but it’s just tea. I might prescribe you certain products after your reading if they will help you come into balance more effectively. There are some meditation exercises that may be recommended as well. Q: How come you use your own Tarot card spread and not some of the ones other psychics use? A: The Tarot spread I use is something I developed on my own. It’s something I’ve developed over time and found to be a very effective way to interpret what your unique energy says about you. That’s it! Other questions? Leave them in the comments section and we’ll do our best to answer them.